Plaintiff is an intellectually disabled male adult. He is a fall risk, needs supervision when dressing himself, his food requires special preparation, and he speaks only in simple sentences. Plaintiff comes into the care of Emerge, Inc. in 1992 and remains in its care until the time in question: 2010-2014. Emerge owns and operates approximately 75 residential service sites and day care programs throughout the State of Maryland. Due to his medical history, Plaintiff takes warfarin blood-thinning medication, which increases one's risk of bruising and hemorrhaging. Plaintiff's risk of falling should be of great concern given warfarin's effects. Plaintiff is treated at medical facilities, including Howard County General Hospital (HCGH) and St. Agnes Hospital, 7 times in 4 years. In each of these instances, Plaintiff suffered one or more injuries resulting from a fall. Examples of these injuries include a bruised eye, contusions to the scalp, and a broken arm. Plaintiff misses several appointments to ensure that his blood clotting is at the proper level- a common issue among those who have been prescribed warfarin. Not only does Emerge's delegated RN fail to ensure that Plaintiff makes it to these appointments, but fails to timely document that the appointments were missed and reschedule the appointments. One night, Plaintiff is very lethargic and is not acting like his usual self. The RN does not report this change in Plaintiff's condition and administers Plaintiff's normal Ambien prescription, increasing the risk that he will suffer a fall. The following morning, Plaintiff collapses on the floor and is taken to HCGH. He is diagnosed as severely hypothermic and his heart rate and blood pressure are extremely low. He also has numerous bruises and healed fractures of his ribs. Plaintiff's designated guardian files a claim on his behalf in Baltimore City, alleging that Emerge violated the standard of care by failing to ensure that Plaintiff was monitored, provided with the necessary care, taken to all medical appointments on the recommended schedule, and in failing to take proper precautions to address his risk of falling. It is contended that Plaintiff has been caused to suffer pain, distress, mental anguish, additional hospitalization and medical care, and medical bills as a result of Emerge's negligence. This is an emotional case on every level. If you don't feel for this young man and the people who love him, you do not have a pulse. That door will swing both ways with a jury in this case. The man and his family will get a great deal of sympathy from the jury. But jurors will also understand that the Plaintiff is a really tough patient to manage. There is going to be a war over venue in this case. Emerge will try to move the case to Howard County because this is where all of the relevant care took place and the Plaintiff does not appear to have meaningful contacts with Baltimore City. Emerge was apparently cited by the Maryland Office of Health Care Quality which found that it violated numerous COMAR regulations in caring for this man. This is going to help drive a settlement in this case. Has someone you love suffered an injury or wrongful death from abuse or neglect in a nursing home or an assisted living facility in Maryland? Please fill out this free online case review or call us at 800-553-8082. 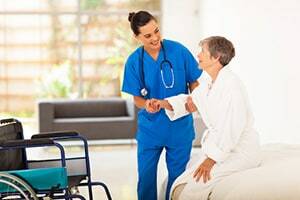 Talk to our nursing home attorney and get information you can use to figure out what you options for compensation really are and the best path to receive justice.